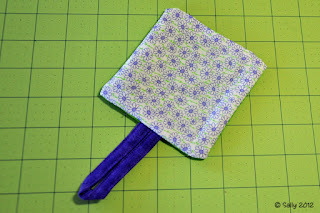 I have been wanting to make my own pincushion and thread catcher bag for a while now. My mom gave me one awhile back but I have seem to have lost it in moving. The patterns I saw online just weren't what I wanted so it was time to come up with my own. I used the pattern posted at Sew Mama Sew! as my starting point. It wasn't exactly what I wanted but it was close. I didn't need the organizer part nor that large of a pincushion. I did like how the bag was removable however. On the other hand, I wanted the "cuff" of the bag to be on the outside so it would make it easier to empty the bag. I didn't want threads getting caught under the "lip" of the fabric. With some modifications, here is what I came up with. The only piece that I ended up purchasing was the button. Everything else was scraps I had on hand or found around the house. I probably could have found an old button but I saw this one at my local quilt shop and thought it would be perfect to use. 1 each 6" small dowel or Popsicle stick. 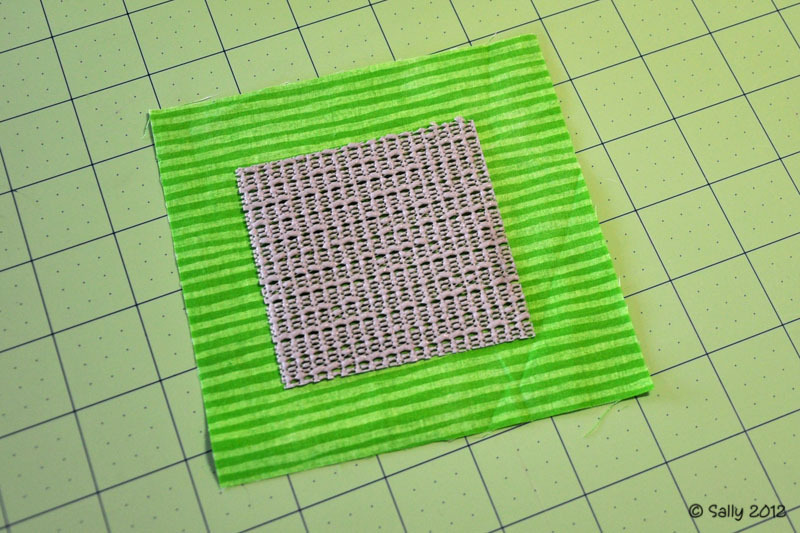 You will also need a disappearing ink marker and matching thread. * Uncooked rice, beans, an old door hinge...anything heavy enough to keep your pincushion on the table. You'll be surprised at what we came up with! 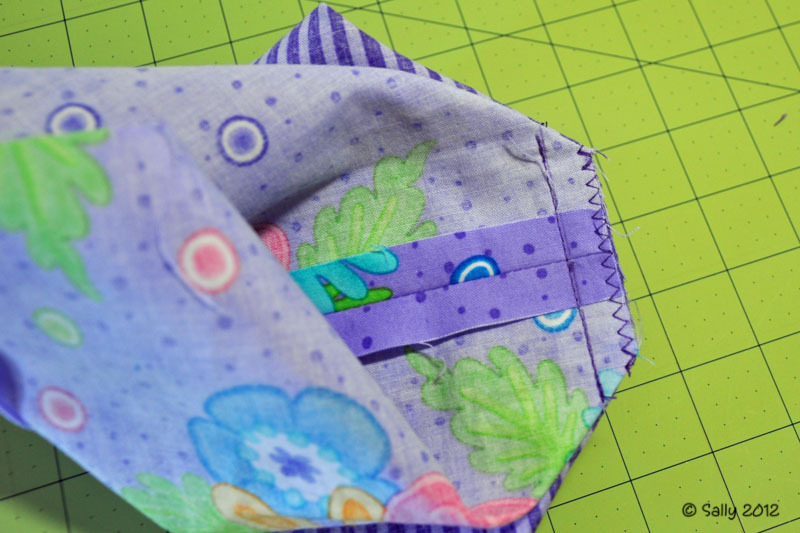 All seams are done using 1/2" seam allowance unless otherwise noted. Take the exterior fabric piece and fold in half along the long edges, keeping the right sides together. Sew seams. 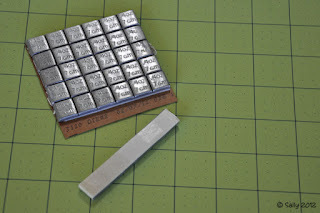 Clip corners at the fold lines and press seams open. 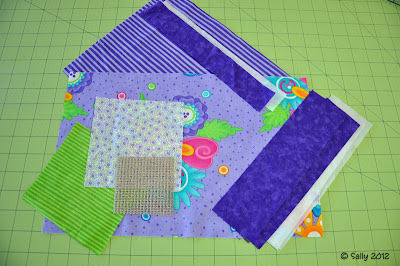 Repeat for the bag lining piece EXCEPT sew using a 5/8" seam allowance. Take one end of the exterior bag and make a point. 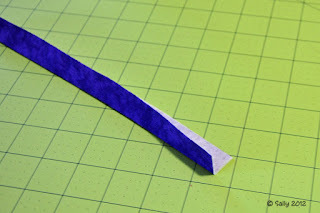 Measure up 1-1/2" from the point and draw a line perpendicular to the seam. Stitch across this line. Repeat for the other side. Repeat again for the bag lining. Cut tips off leaving 1/2" seam allowance. 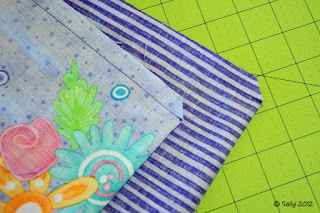 Next, line up the seams for each bag so that the bottoms are together. 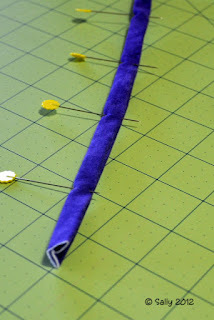 Baste by hand or zigzag stitch ends together. Turn the bag so the exterior is on the outside. 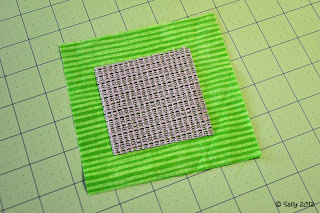 Baste or zigzag stitch together the top edges. To make the cuff for the bag, iron on the fusible interfacing to each piece. With right sides together, sew short sides together at both ends to create a loop. Press seams open. Turn up one edge of the loop 1/2" and press. 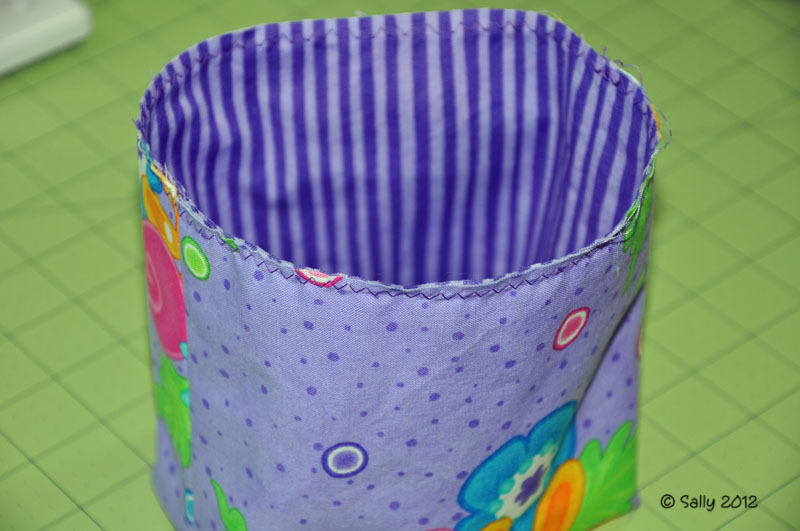 Put right sides of the cuff and bag lining together, matching side seams. Stitch together. Turn cuff to the outside of the bag. Press. 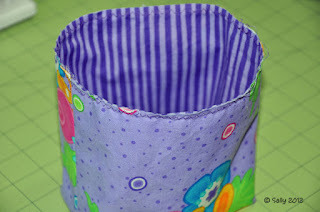 Secure bottom edge of cuff to bag by sewing 1/4" seam allowance leaving a 1/2" gap on the back side of the back. 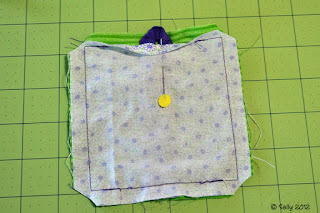 Insert dowel or Popsicle stick to stiffen the back edge of the bag. Sew gap closed. Sew button on inside back of the bag. Thread catcher bag can be used on its own or with the pincushion. Iron on fusible interfacing to loop piece. Fold in half and press. 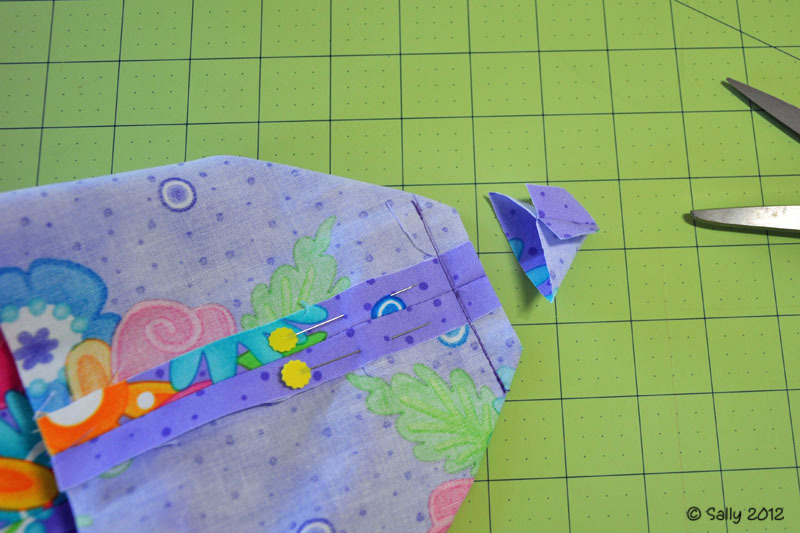 Open up piece and fold in long sides to the middle as shown. Press. 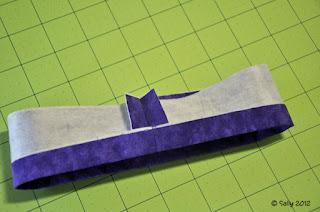 Topstitch close to both edges of folded loop. 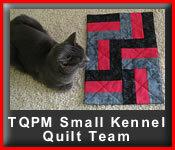 Fold loop as shown, keeping ends equal in length. Stitch across long edge of folded triange over topstitch line. 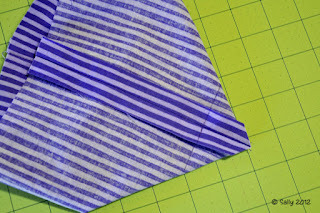 With right sides together and loop sandwiched between layers, stitch seam leaving side opposite loop ends mostly open. Turn pincushion right side out. Press. Now you need to decide on how you will weight your pincushion. 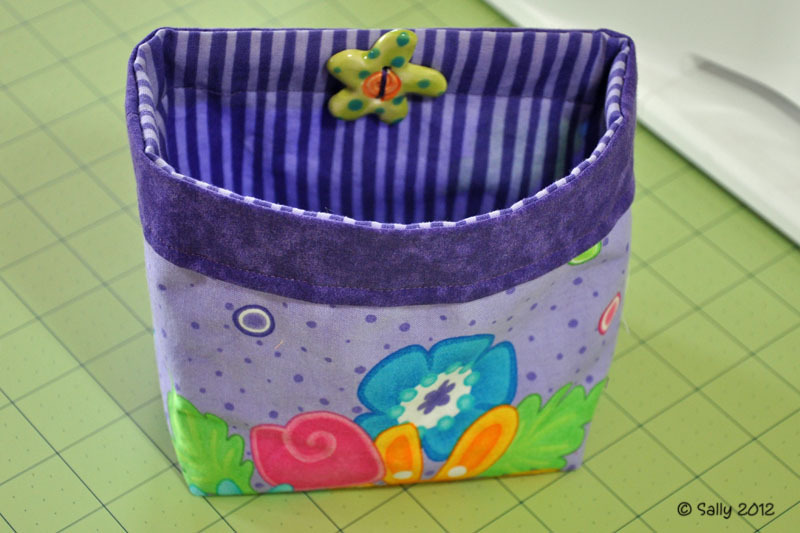 If using rice or beans, sew up a small bag to fit inside the pincushion. For my pincushion, we had a box of motorcycle tire weights that were perfect for this. These small flat stick-on weights came twelve squares to a strip. I cut three strips in half and stuck them to a piece of thin cardboard cut from a soda box. 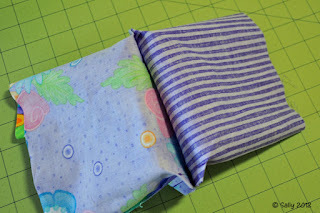 I was able to flex the cardboard slightly and then slide it into the pincushion bag. Then I stuffed it with my polyester fiberfill. 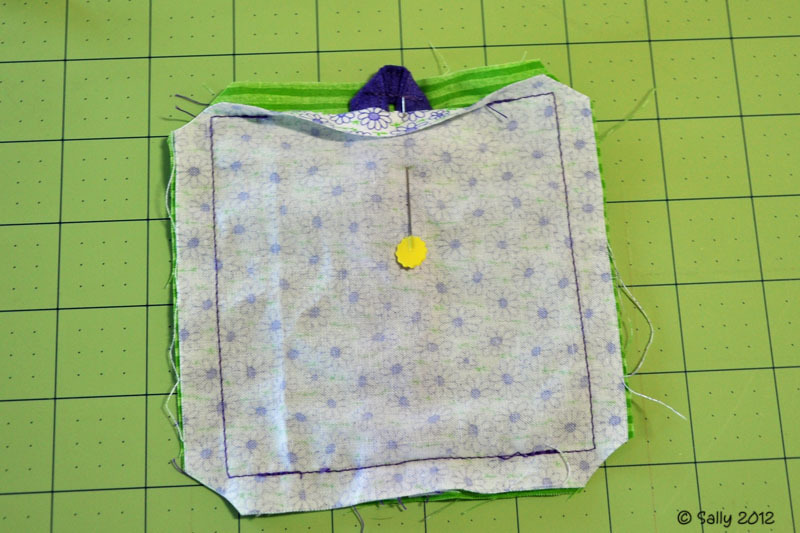 To finish, hand or machine stitch opening in pincushion closed. Voila! You have a pincushion with a removable thread catcher bag. I just came across your pattern and I'm going to try it out tomorrow,. Thanks for taking the time to post this tutorial. I have only been sewing for a short time, but I seem to be having a problem. When I sew the exterior and the lining according to the seem allowance, after I attempt to make the seems line up after measuring 1.5 inches and sewing that together on both the pieces. The seems don't match up for me to zigzag them together. The photo shows them lining up, but if one piece has a seem allowance of 1/2 inch and the other has a 5/8 seem allowance, they don't line up! HELP please. The side seams for the outside bag are 1/2" and the lining 5/8". (The lining needs to be slightly smaller so that it fits inside the bag.) The distance across the bottom of the bag from seam to seam will be shorter on the lining part, but that is okay. 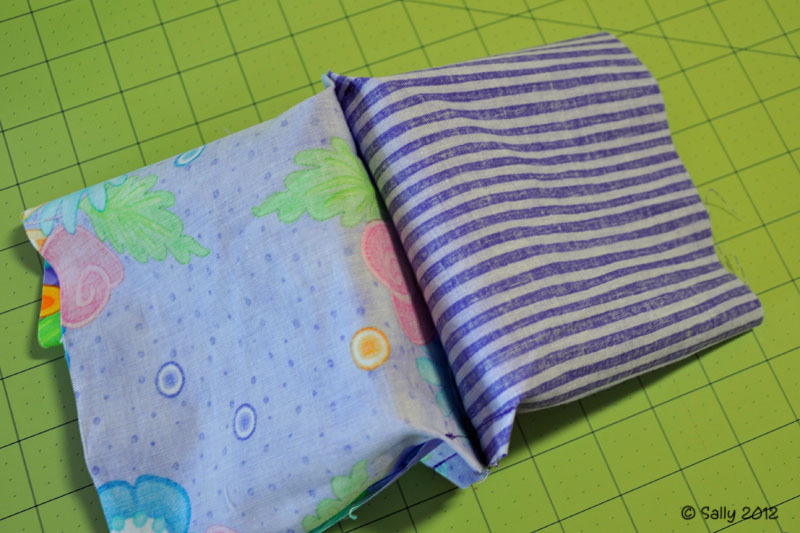 It is possible (although I can't remember) that the length of the seam on the lining when sewn up at the 1-1/2" mark is slightly shorter than the outer bag. If so, I wouldn't worry about it. It doesn't have to be exact. 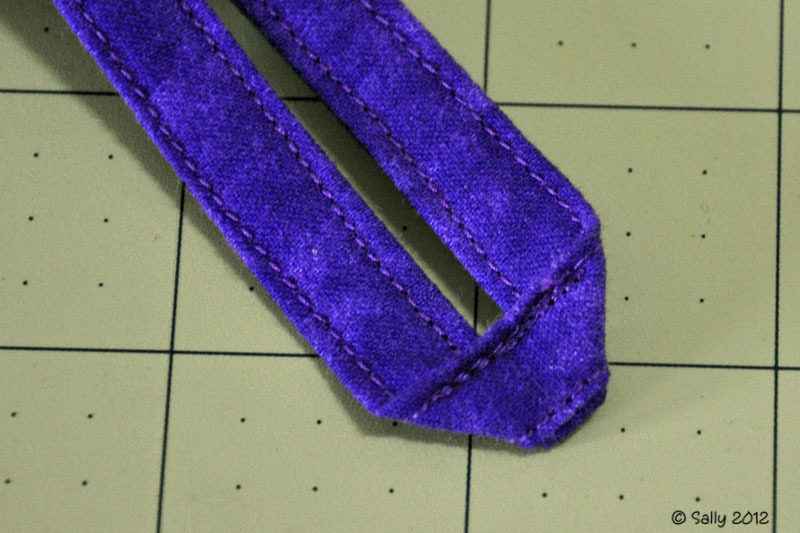 I think if the seam lengths are close in size, you should be good to go. Feel free to email me a photo of what you have. You can find the link to my email in my blogger profile. So I am not imagining things ... that is good to know. Could I align the bags before sew and cut so that they match like the picture shows? Would it make a difference? Thank you for a well done tutorial. I like your improv style of using what you have to make something cute! 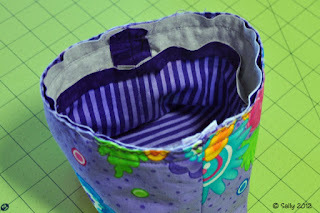 This style of thread bag is what I was looking for and I'll be making it soon. 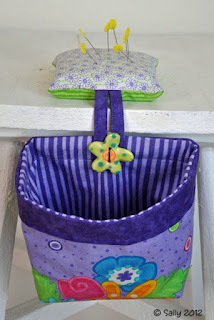 Hope you were able to make your thread bag! Thanks for stopping by. Just finished my thread catcher; thanks to your tutorial, it was done in no time and I love it! Thank you so much. I just made this today. Great, easy to follow tutorial. The non-slip stuff was a pain to sew! Great tutorial! Just what I was looking for! Thanks for stopping by. Comments are always welcomed and appreciated! Turning Twenty - Not What You Think!